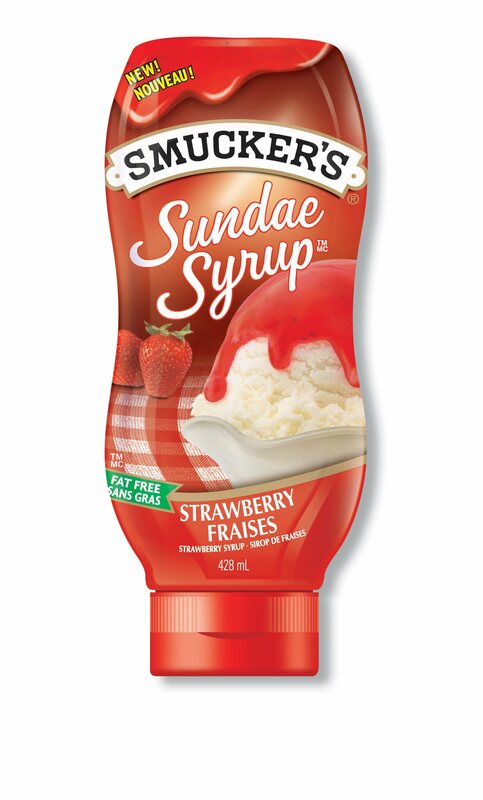 Smucker Foods of Canada gets into the spirit of the season with the launch of its new Smucker's(R) Sundae Syrup(TM) Strawberry Syrup just in time for Canada Day. In honour of the Canadian launch, the Company enlisted the help of Baking Specialist Sarah Palter to create a patriotic dessert featuring Smucker's Sundae Syrup Strawberry Syrup. The result: a festive red and white Canada Day Ice Cream Cake that's fun for the kids to make and a delicious way to celebrate any special occasion. "Everyone is always looking for impressive dessert ideas without the hassle of a complicated or expensive recipe," says Palter. 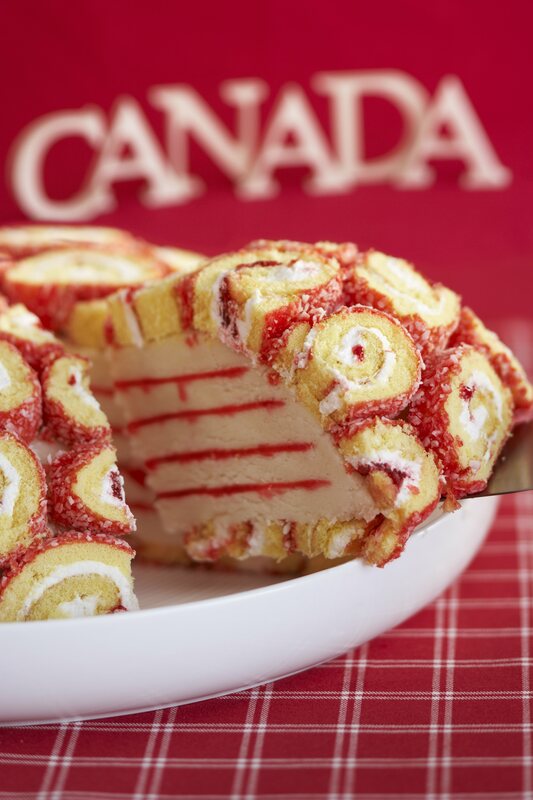 "The Smucker's Canada Day Ice Cream Cake is a definite crowd pleaser and it takes less than 15 minutes to make." Line a 12 cup (3L) metal mixing bowl with plastic wrap. Then line inside of bowl with a single layer of sliced jelly rolls, allowing them to overlap if necessary. Reserve remaining pieces for top. Fill with 2 cups (500mL) of ice cream and cover with 1/4 cup (50mL) of syrup. Continue layering ice cream and Smucker's Sundae Syrup Strawberry Syrup, ending with ice cream. Cover with remaining jelly roll slices. Cover bowl with plastic wrap and freeze until firm, 2-3 hours. To serve, remove plastic wrap from top, then invert onto a serving dish, remove the rest of the plastic wrap and garnish with additional Smucker's Sundae Syrup Strawberry Syrup. Smucker Foods was founded in 1897 when the Company's namesake and founder sold his first product - apple butter - from the back of a horse-drawn wagon. Over a century later, the Company is the market leader in fruit spreads, peanut butter, shortening and oils, and ice cream toppings in North America under such icon brands as Smucker's(R), Jif(R) and Crisco(R). In Canada, the family of brands also includes Robin Hood(R) flour and baking mixes; Bick's(R) pickles and condiments; Red River(R) cereals; and in Quebec, Double Fruit(R) Spreads. For over 108 years, Smucker Foods has been headquartered in Orrville, Ohio. For four generations it's been family run. The Company has over 3,500 employees worldwide and distributes products in more than 45 countries. Smucker Foods has been in Canada since 1988. For more information on other great recipe ideas from Smucker Foods of Canada please visit www.smuckers.ca.